A daily teaching tool and visual way to communicate with young people and a branding and informational tool programmed for lobbies and waiting rooms across all locations. Instantly converts to the synchronized emergency notification device. Visually communicate with all recipients at once. Automatically interrupt regular programming with pre-recorded visual instructions for any emergency. Integrates with other forms of mass notification. Control all media from your desktop or mobile app. Pre-record media for everyday use or situation-specific emergencies. Interrupt regular programming to launch emergency alerts and instructions. Turn LCDs on and off and select the correct source input. Preschedule advertising, presentations, announcements and branding videos. Integrates with fire alarm, door and card access and shooter detection systems to provide immediate alerts and instructions. Attracts attention and appeals to visual learners. Emergency information reaches everyone and is clearer when alarms and instructions are automatically communicated via multiple forms of communication (e.g. visual signs, intercom, PC pop-ups, etc.). Regular, non-emergency communication can be pre-scheduled for lobbies, waiting rooms, public venues, and classrooms. Automated emergency communication and mass notification eliminates searching, confusion, and panic and can save lives. Powerpoints, videos, web pages and more supported. Request your emergency/routine communications assessment or demo. 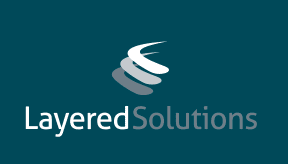 How does Layered Solutions support organizations like yours?